If you have never seen the show Shark Wranglers from the History Channel, you should check it out. It’s an entertaining series, and if you’re not careful you might even learn a thing or two. In a nutshell, the show follows a team of shark researchers on a ship called the OCEARCH as they capture, examine, tag and release different shark species. The information they gather helps to better understand how sharks are faring in the wild, and how human influence is impacting their well-being. Some of the best footage is of the team reeling in massive great white sharks, which they guide onto a hydraulic lift in order to pick them up out of the water for study. Despite some harrowing close calls, the research team, led by Chris Fischer, does a great job of gathering the information they need without sacrificing the safety of human or shark. In an episode called Monster of Bird Island the team interviews a group of young fisherman off the coast of South Africa who speak of a local white shark as large as their boat. They don’t say how long the boat is, but it appears much bigger than any great white shark, possibly 40 foot or so. Fischer writes it off as a case of exaggeration, but later a member of the team tells an interesting personal story. Brett McBride is captain of the MV OCEARCH, and a main player in the handling of captured sharks. He’s a guy who has spent a lot of time on the ocean, and he recounted an experience he had as a teenager. According to his story, he was harpooning swordfish off the coast of California from the deck of a boat when he and his shipmates heard of a white shark nearby and went to investigate. Their ship had a 42-foot plank where the harpoon man would stand, and as the ship passed the great white they marked its length from nose to tail by that plank. They measured it later to be thirty feet! Thirty feet is twice as large as the average great white. 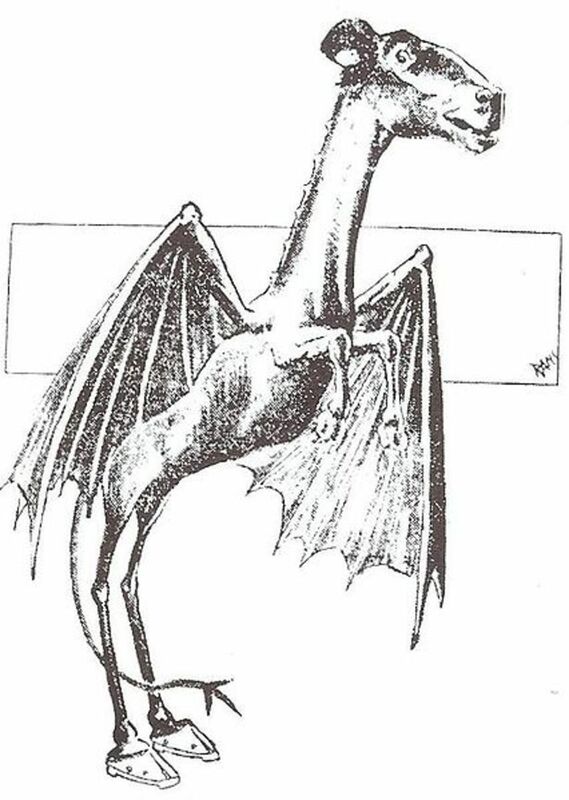 Could this creature have been something else? The Megalodon is an ancient predatory shark thought to have gone extinct thousands of years ago. The largest ones reached up to 60 feet in length. Did Captain Brett encounter a Megalodon shark all those years ago? How Large Do Great White Sharks Get? Let’s be clear about a few things. The OCEARCH crew, including and especially Captain Brett, is a group of serious researchers who are doing great things to further the understanding of sharks in the wild. At no point did anyone on the team suggest this was a Megalodon sighting, and at no point did anyone even use the word Megalodon. Still, there’s no doubt that cryptozoologists watching at home sat up a little straighter upon hearing such a detailed and trustworthy account of a 30-foot great white sighting. There have been some outlandish size claims over the centuries. For a long time the Guinness Book of World Records listed 36 and 37-foot great whites as the largest on record, but researchers have cast serious doubt as to the validity of those numbers. The largest great white shark ever caught and officially documented was just over 21 feet. Of course, some fisherman claim to see larger sharks out there, but without a specimen to examine there is no way to be sure. Average adult white sharks range between 13 and 16 feet, and any shark approaching 20 feet is a true monster. Some researchers claim that many years ago there were more large sharks in the world, as the human impact on their ecosystem was not so severe, and that’s most likely true. With fewer hooks in the water, and fewer humans to mess with their food sources, it was probably much more possible for a great white to top 20 feet a couple of hundred years ago. 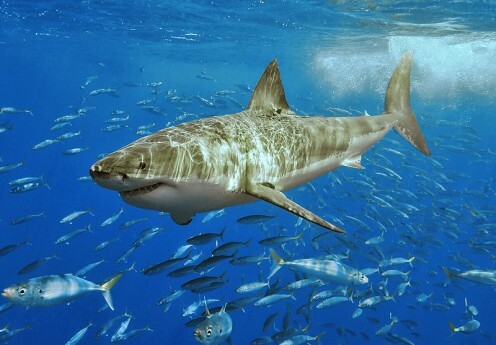 These days, places where you can find great white sharks are scarcer and their numbers are fewer. But even back in the olden days, was a thirty-foot great white shark really a possibility? The OCEARCH Team in Action—Amazing! 30-Foot Great White Shark or Something Else? What did Captain Brett see? This is a guy who knows the sea and knows sharks. It’s unlikely that he misidentified a whale shark or some other animal, so that leaves two possibilities. Either Captain Brett gave an account of the largest great white shark ever, or he ran across a living Megalodon. Of course there is also the chance that he and his buddies miss-measured, but let’s assume Captain Brett was on the ball even back then. Does such a creature still exist? Captain Brett, at the time of the show, was 43 years old. This means his encounter probably occurred in mid-1980s, around 25 years ago. A lot can happen in two and a half decades, and whatever this thing was it could have been the last of its kind. Let’s hope not. If it really was a Megalodon shark it would be fascinating for a live specimen to show up somewhere long enough to be documented. If it was a massive great white shark, well, that’s cool too. A 30-foot great white would doubtless be almost as interesting to serious shark researchers. And what about the South African fishermen? These men, who are on the ocean and see sharks every day, claimed to know of a shark in the area apparently measuring between 30 and 40 feet. Was this a case of fisherman’s exaggeration, or were they too seeing either a massive great white or a Megalodon? If either is out there, perhaps Captain Brett and the crew of the OCEARCH will be the ones to pull it on deck and capture it on camera. Their ongoing research has already revealed mountains of data on a diverse array of shark species, and the discovery of a living Megalodon or a record great white shark would be one more feather in their deserving caps. Update: After holding out hope for longer than it was probably logical, I have accepted the fact that there does not appear to be any new seasons of Shark Wranglers expected any time in the future. But OCEARCH continues their mission of shark education, study and conservation today. Whether there are really 30-foot great white sharks out there somewhere or not, sharks are an important part of the ocean ecosystem. The work done by OCEARCH helps us to better understand these amazing creatures, and act as smarter stewards of our planet. Visit the OCEARCH website and learn more about great whites and the conservation of one of the most incredible animals on our planet. Do 30-foot or larger great white sharks exist somewhere in the world? Probably. There has to be a few big ones out there. No way. These sightings had to be of something else such as a whale shark. Maybe great whites are capable of getting that big, but we've put so much strain on them that they probably don't anymore. C'mon, man! It's so obvious that these are Megalodon sightings! Megalodon vs Great White Shark: Australia's Super Predator Found? 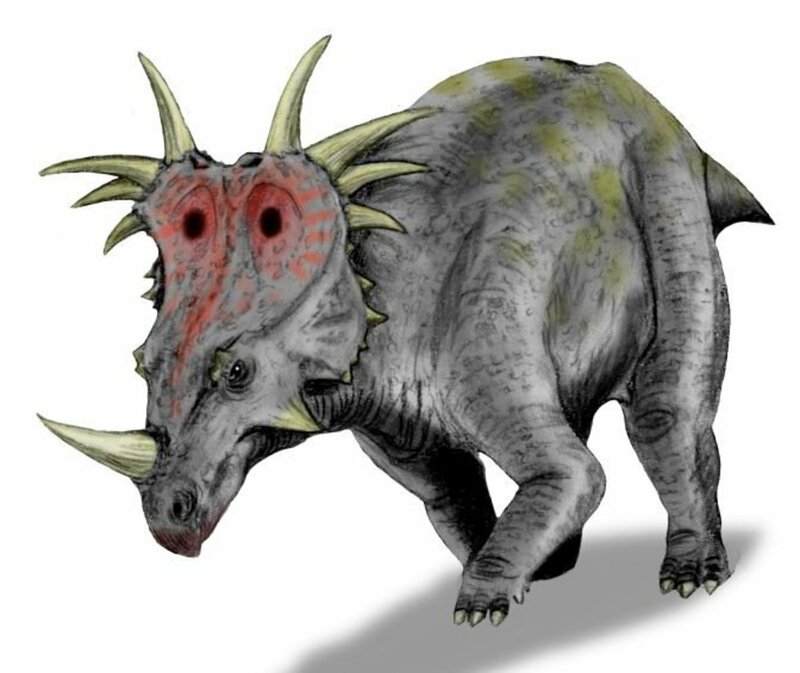 Are These Extinct Prehistoric Animals Still Alive Today? Thanks for sharing that, Fisherman's Son! Brett McBride's story has an east coast counterpart. My father was a sword fisherman from after WW2 until the seventies. He worked on a harpoon boat until they went to longlining in the late 60s. Once off Georges Bank he was up in the crows nest of the harpoon boat looking for finning swords when a giant white shark came alongside. He said it rolled on it's side and looked up at the boat. Then it dove and went under the boat. He said the head was on one side and the tail was on the other. The boat was a 65' eastern rig with a 26' beam. According to him it had to be at least 35' long. When I asked him if he was sure it wasn't a whale shark or basking shark his answer was "What the hell's the matter with you, don't you think I know what whale shark or basking shark looks like?" . 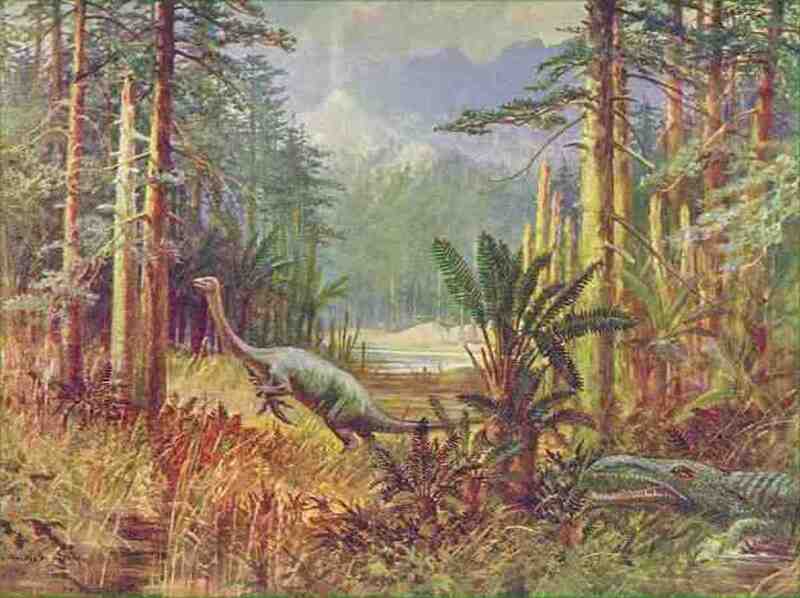 So I believe that at least until the late 60s giant whites or whatever it was still lived. I would love for the meg to still be around but I'm afraid it's probably not. At least not in 60 ft form anyway. Personally I think in all likely hop it either went extinct or evolved. Maybe the modern great white is the meg after further evolution. I've been a shark fisherman for almost my entire life, both offshore and off the beach( catch and release only for last 20 years). 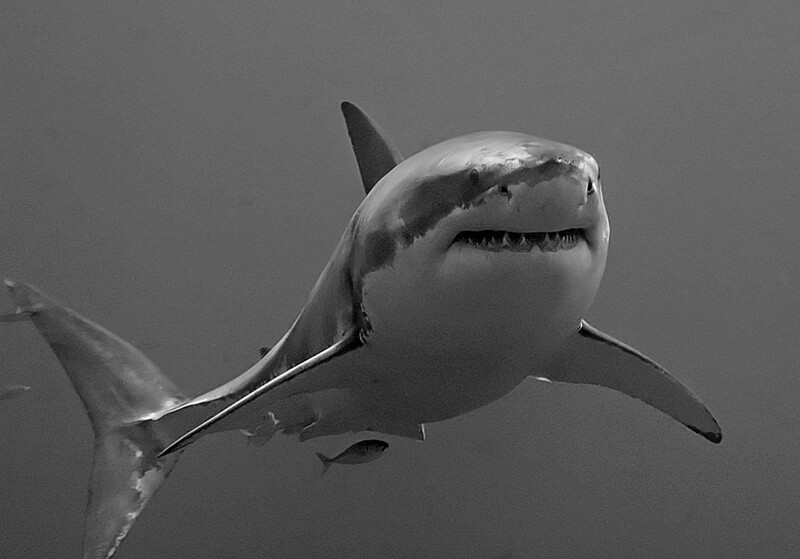 I love sharks for they're simplicity. Eat, make little sharks, and do it all again. Now that the whales are making a come back and the oceans are warming if man will stay out of the way Mother Nature will fill the predator void in a few million years. AKA another version of MEG. Good point tubby! Who knows what the upper limit is for Great White size? well, the fake shark from the original jaws was 25 feet and that thing was enormous. and considering we know they can already come pretty close around 21 feet documented, it wouldn't surprise me if you were to somehow cruise the oceans from the last thousand years or so, you could find some whites that truly were the same size as jaws. Interesting thoughts, drippy! Thanks for posting! 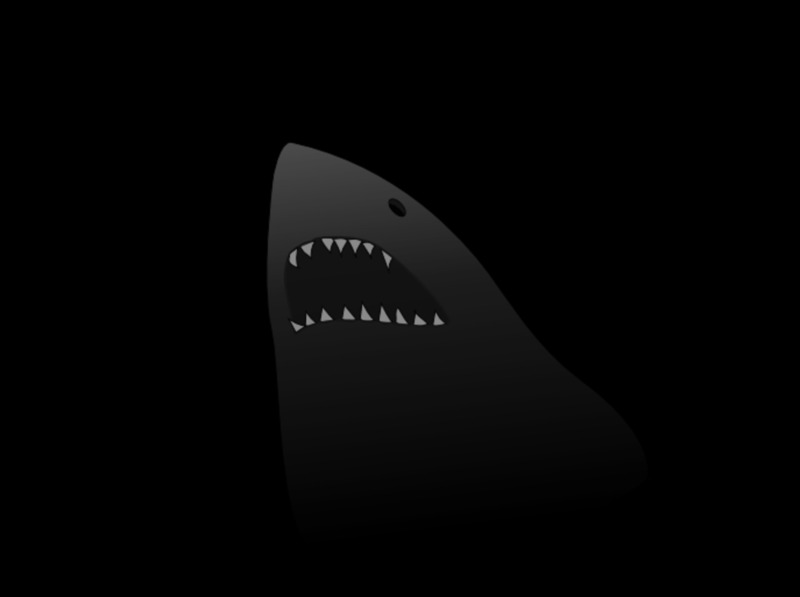 The Basking shark could have evolved as a mimic. Easy enough to tell they aren't a white shark from the top down view though. We also seem to have a mystery in our oceanic evolution pattern. It appears that large ocean mammals have had a lot of pressure toward size and insulation. Orca, even in pods wouldn't seem to account for the scale of difference. Then consider their main food sources, I'll concede that they will take lone, weak or weakened large baleens, but their main diet is fish, smaller whales, dolphins and other relative sized prey items. Now how could a white shark as known account for the discrepancy. The most interesting thing is the evolution of blubber, the natural selection for whales to be more successful in colder waters, where sharks become lethargic and temperately out zoned. Seems like the whales had a problem fish that pushed them to where they are. And on a final note. The natural selective pressures and evolutionary adaptations of sea life are alive and well within the ocean. Not really any different than the times when gigantic sharks swam the oceans. They might very well still. I agree tazd24. There are still mysteries out there in the ocean, and we never know what we might find. Its not that crazy.30 years ago people didn't know what a sleeper or greenland shark were.Now we think both these animals get bigger than great whites. Great hub:). Well written and grounded without being boring. Awesome job. Have a wonderful week. Thanks wendyB! I appreciate you sharing your perspective, and very interesting Re: the megalodon tooth! I loved Brett McBride on shark wranglers. He is so awesome in the water with great white sharks. He has no need to make up or exaggerate any tales about sharks, so if he said that he encountered a 30 ft. shark as a teenager, you can believe it. I think there are a lot of things that we have not discovered in the oceans, yet. If some prehistoric megalondon sharks are still alive it would explain all of these numerous reports of large sharks by professional fishermen. These men make a living day after day out in the ocean. They have spend most of their lives on a boat out at sea. They are experts out on the oceans and should not be dismissed lightly. I have lived in Hawaii for years and was a certified scuba diver for years. The ocean is like going to another planet. You are a guest in another world ruled by mother nature and it demands your respect. You become very humbled and are not at the top of the food chain in the ocean. About 16 years ago, I did a dive in South Carolina for fossilized megalondon tooth. I was very lucky and found a 5" megalondon tooth. I have since heard that there's a rock query near by that have uncovered many fossilized megalondon teeth. I hope that if there are megalondons still alive that they stay out in the deep depth of our beautiful oceans and protected from the slaughter that humans would bring to them out of fear. I enjoyed the articles here and will closely watch the ongoing interest in megalondon. Thank you. Anything could be down there, including megalodon! Thanks for your comments, aykianink and PADDYBOY. I believe that there are things in the deep oceans that we still don't know about. Scientists are still finding new species all the time. Hi df. 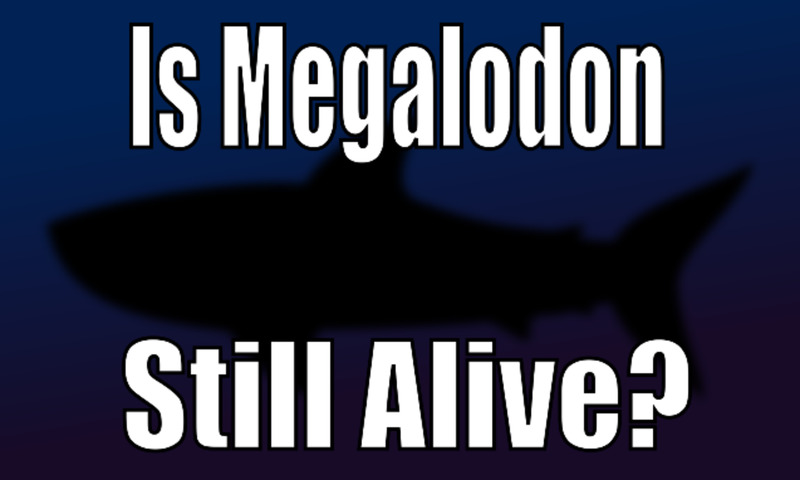 We just don't know if they are alive still, but some researchers do believe Megalodon is still out there. 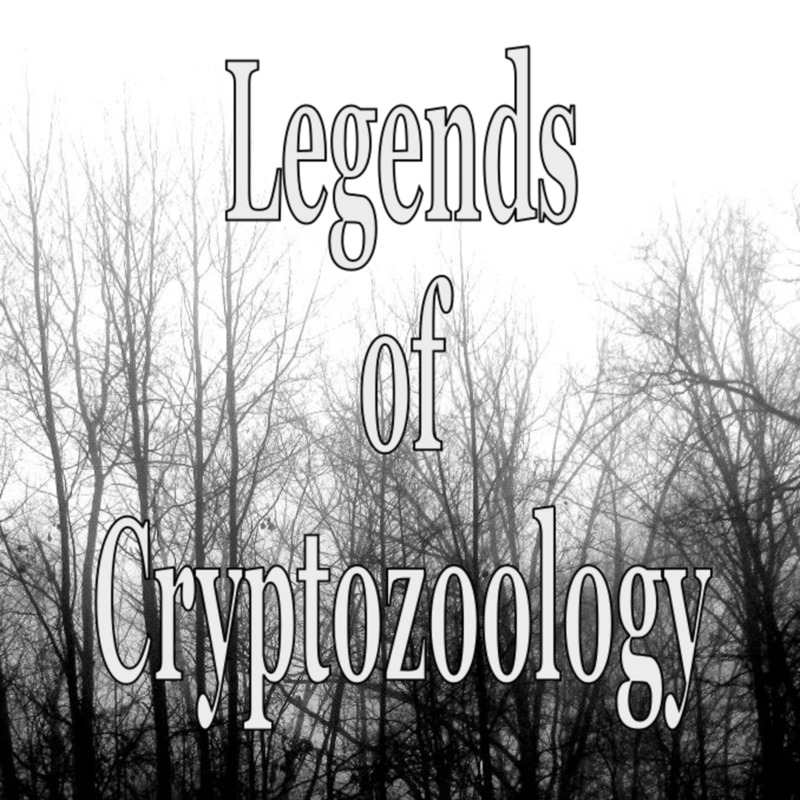 Like most cryptids, unless we find a living specimen or some other solid proof all we are left with are stories. They are definitely interesting, whether they're still out there or not! 6 years ago from LAS VEGAS!!!!!!!! I hope we find the real deal intact well and alive!Thanx to the scientists spending their time and making all efforts to obtain concrete evedence of such wonderful creatures! I'm a shark fan. I never watched Jaws until 20 years after it came out but I love shark documentaries. I hope there are some big sharks left out there but, with the pollution and strain on resources they would have, I don't think they could be many of them still surviving.